Australia and New Zealand have a history of winemaking that harks back to the late Nineteenth Century, but it was not until the 1970s that the region became known for making quality wines, which is when the advent and recognition of wines from Oceania gained traction and eventually secured them a prominent place on the world market. Let me introduce you to some quality drops that don’t break the bank, brim with subtle flavours and are made by passionate winemakers that care about their product. Peter Yealands’ plan, i.e. 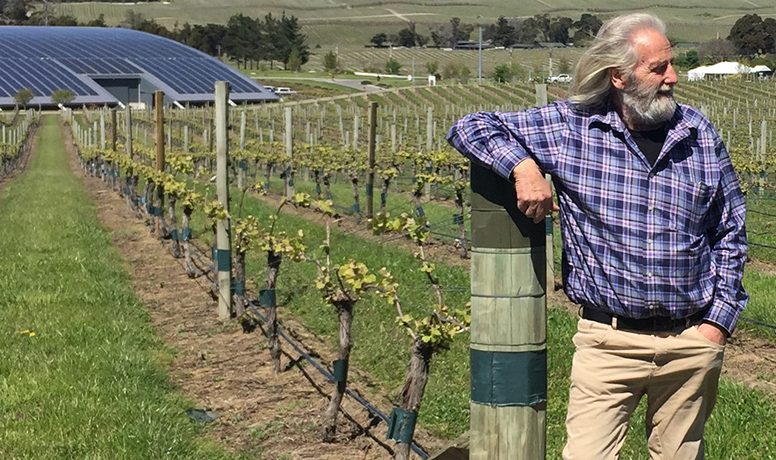 to create beautiful wines in a sustainable manner, came to fruition and by 2017, Yealands had developed a portfolio of vineyards, producing the staple Sauvignon Blanc, but also more exotic varieties like Viognier and Grüner Veltliner and Viognier in the maritime climate of the Marlborough region, i.e. Wairau Valley, Southern Valley and the Awatere Valley, where Yealands Estate HQ is situated and which produces wine with characters defined by their acidity and herb tinges. While the individual sub-regions might not be far apart, the flavours they produce are diverse. Wairau Valley winegrowers and winemakers in particular needed to manage their vineyards to retain freshness and blend parcels appropriately to have the wines show vibrancy. Let’s shed some light on their liquid emissions, shall we? Peter Yealands Marlborough Sauvignon Blanc 2016 is of a light yellow colour with green hues with a nose that is fresh and elegant aromas mixing nettles and cut grass with underlying capsicum notes. It shows ripe notes of passionfruit and guava, underpinned with aromas of fresh herbs and blackcurrant. Dry in taste and medium bodied, the palate is brimming with zingy fruit that is balanced with a long, crisp mineral finish with underlying phenolic textures. An ideal companion for pre-meal drinks and salads. Yealands’ Pinot Gris is brimming with pear drop and nutty characters, leading to subtle flavours of stone fruit and honey. The palate is full and shows wonderful balance between fruit sweetness and acidity, with a refreshing, crisp finish. This Pinot Gris is one my go tos when it comes to pairings with Asian food, e.g. Vietnamese or Japanese, chicken dishes as well as light southern Italian pasta dishes. Peter Yealands Pinot Noir is a personal favourite: A rich, silky wine with juicy ripe cherries and plumns, hints of spices and wood and a lingering rather savoury than sweet finish. An ideal partner with lighter meat dishes like lamb fillet and fresh rosemary or tomato based pasta recipes. 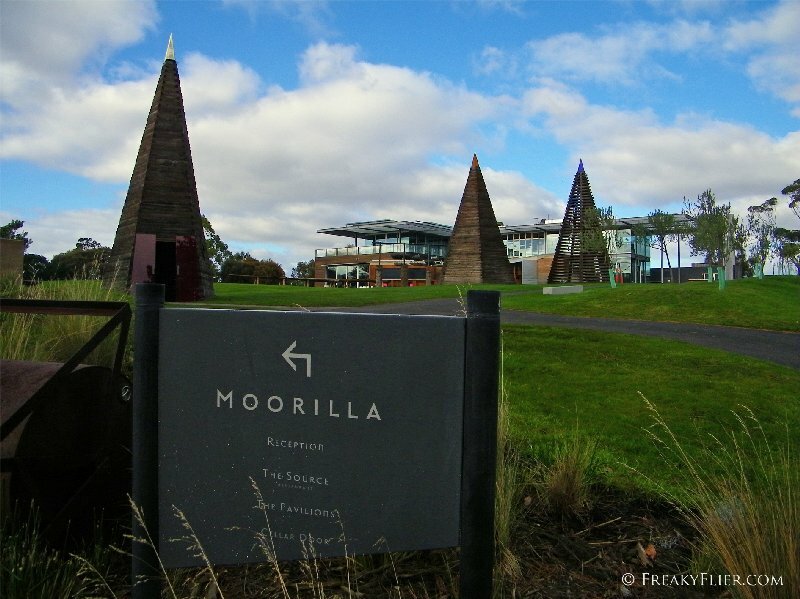 One of my favourite Australian wineries is Moorilla Estate. Moorilla Winery, which is part of the Museum of Old and New Art, whose festivals and exhibitions we have covered extensively, is worth a visit to Tasmania in itself: Stating that Moorilla stands for the cutting edge in terms of boutique cool-climate wines would be an understatement par excellence. What is exciting is that apart from producing quality drops, there is a fair bit of experimentation that goes into them channeling their Dionysian alchemy and praises to Bacchus. A DIY-approach pushing the envelope of conventions. How quintessentially MONA is that? Host and wine expert Daniel McMahon is an approachable, charming sommelier devoid of pomp and secure enough to not lord his knowledge like a golden scepter over the uninitiated. No matter if you are an advanced connoisseur or if your knowledge of wine culminates in “red with meat, white with fish”, Daniel has the ability to pick you up where you are at and communicate on a level that you understand based on his hands-on experience and involvement in the wine making process. The grapes from the 3.5 hectare Berriedale vineyard form the core of Moorilla’s wines and the foundation of the Muse range, which include Riesling, Gewürztraminer and Pinot Noir, additions are sourced from its St Matthias vineyard in the West Tamar region, which is contrasting in terrain and climate and mainly makes up the Praxis wine range. Usually dedicated to crafting the fanciest , most interesting Tasmanian wines they can, the dangerously drinkable Carbonic Riesling along with a geschmäcklerische Nouveau Merlot specifically launched for the festival under the monker Alter Ego turn the tables upside down. Just like a horde of pirates on a rampage across the island, they have stolen the best grapes from around Tassie and created two instantly enjoyable guilty pleasures of wine. Despite sounding like something from a science fiction, “carbonic” is actually the technical lingo for fermenting grapes whole, resulting in fresh, fruity, juicy and bold wines that are best enjoyed while they are still young. This particular tipple of the Riesling variety boasts the aromas of a harvest basket overflowing with elderflower, honeysuckle, red apples, lime, mandarins and slate. Intense floral, fruit, spice and mineral falvours meld with a textural palate, chalky tannins and linger long after young punchy acid. The Nouveau is traditionally the first wine of the latest vintage. Moorilla’s Alter Ego is light bodied, low in tannin, vibrant and zesty – a calibration that is rarely accomplished with red wines. Aromas are bold and bright, bursting with berries, cherries, blood oranges, violets, charcuterie spices, and brioche. A well-balanced tension between sweet and sour flavours, a touch of dusty dry tannins and the characteristic freshness of the nouveau style. Local artist Tom O’Hern was commissioned to bring the concept to life for the new Moorilla Alter Ego variety. 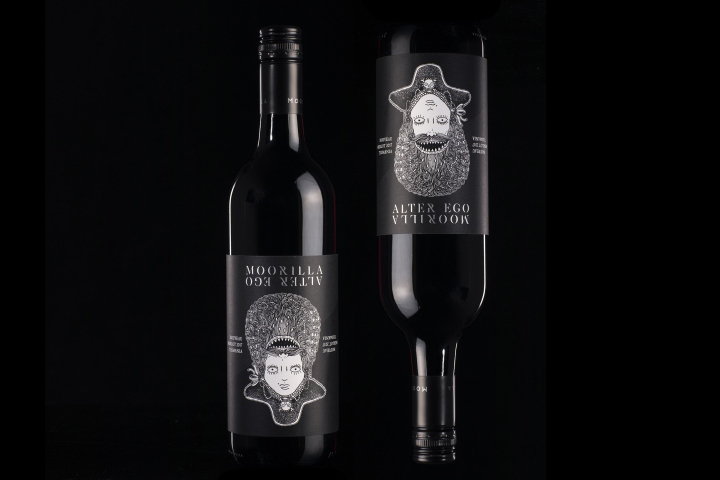 At first glance, the bottles of the Alter Ego range seem elegant and classy, but when the label is inverted it becomes "a rampaging pirate", acccording to O'Hern, who completed the design whilst 35,000ft over the Pacific Ocean on his way to Europe. Moorilla’s carbonic Riesling and Noveau Merlot are two wines imbued with MONA’s and Moorilla’s spirit, while entering more affordable realms without sacrificing style, class and favours. Photos from Yealands Estate and Moorilla Estate websites.